Updated Sunday April 14, 2019 by NBL. The Niskayuna Travel Baseball program opened play this weekend, with the 11U, 10U, and 8U teams notching wins at Blatnick Park on Sunday. In 11U action, Alex Kerr and Matthew Hand tossed four shutout innings and Braden Fields drove in two runs as the Warriors defeated the Saratoga Stars 5-2. 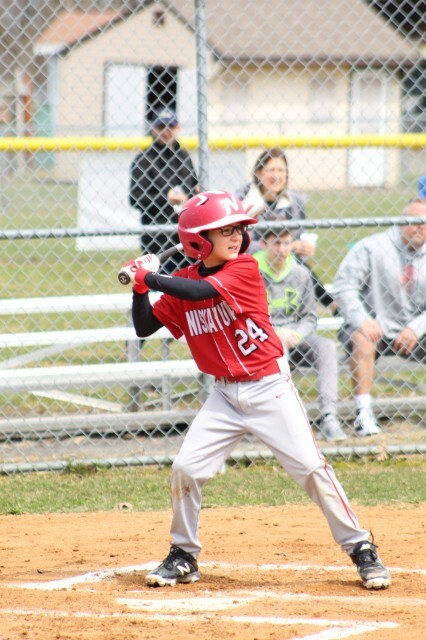 At 10U, Caleb LaFleche fanned four in 2 innings, while teammates Beckett Haughney and Silvio Polsinelli each had 2 hits for Niskayuna in their 14-2 victory over Bethlehem. which received a 3-strikeout mound performance from Ethan Stanco over 1 1/3 innings of relief.